OLD PARKED CARS. 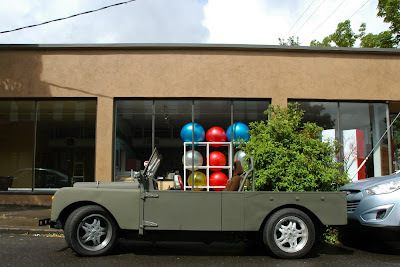 : 1957 Land Rover Series I Custom. 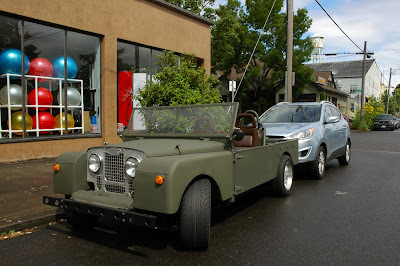 1957 Land Rover Series I Custom. Okay now this is awesome. reminds me of the mehari a few posts back. hope it has a top. never woulda thought someone would turn one of these off road legends into a very weird street rod. AND I THOUGHT MY 1977 PEUGEOT 504 DIESEL IS SCARCE.INTERESTING OFF ROAD VEHICLE&BET IT GETS MORE ATTENTION THAN A NEW RANGE ROVER SPORT ON ROAD. CAPS LOCK IS NOT MEANT TO BE USED 24/7, TURN IT OFF. Anyways, this is one helluva 'rod. well lookithat. needs the "wacky" tag for sure. Those look like S10 'Extreme' wheels, I bet it's a LR body dropped on an S10 frame. Those look like S10 'Extreme' wheels, I'm betting it's sitting on an S10 frame. It's a 1956 Land Rover Series I on an S10 extreme chassis with a 4.3L and 460 auto trans with LSD. I know because I built it. So happens I let a friend borrow it and here it is. 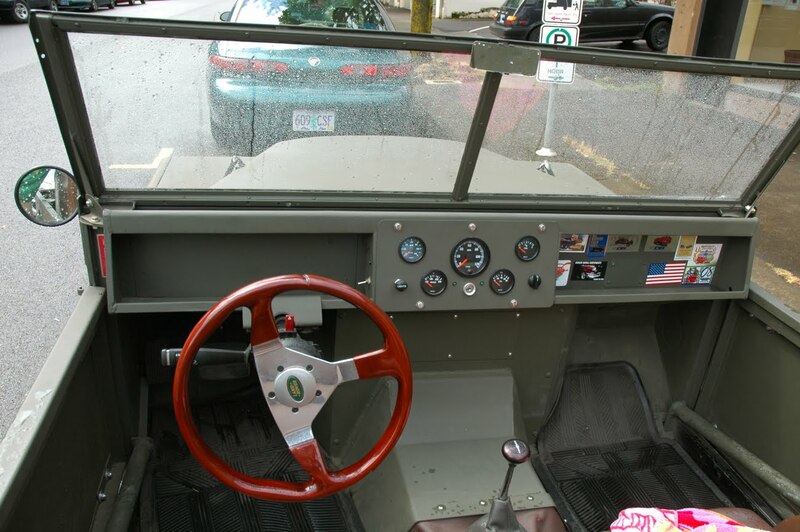 It's a blast to drive--no top btw. 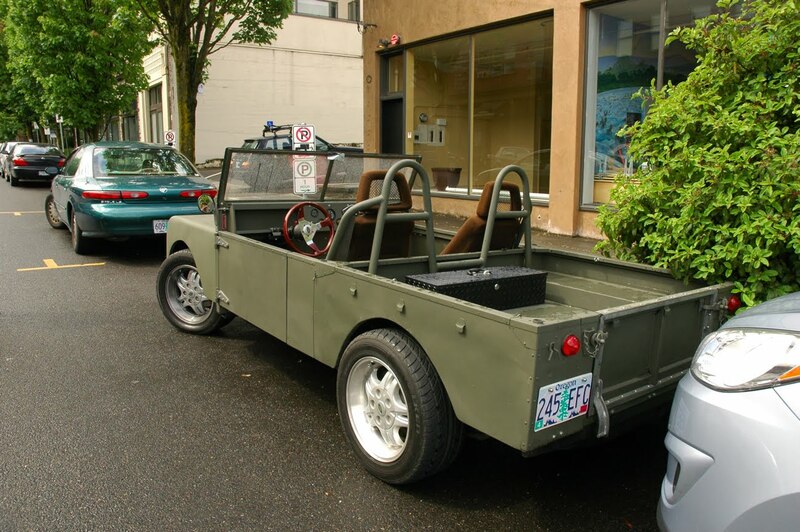 ..changed the wheels, i'd keep it as it!